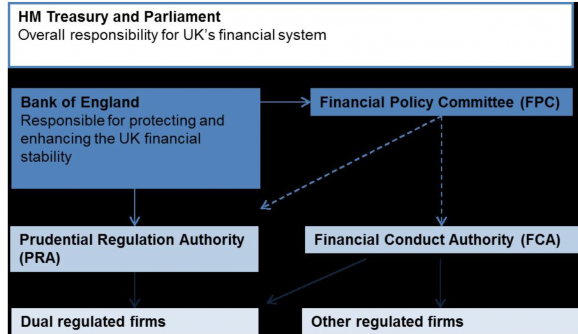 Financial Services Regulation. What Does it Mean for Consumers? FCA, TCF, FOS, OFT, PRA…As a lender on a peer-to-peer site, these are all acronyms you may have come across. But do you know what they stand for and what the regulation means for you as a lender? In this post, we take a closer look. The Financial Conduct Authority (aka The FCA) were formally known as the Financial Service Authority and the Office of Fair Trading (OFT). In 2013, the FCA was formed, taking over the operations of the FSA and the OFT and at the same time also creating the PRA, the Prudential Regulatory Authority, the authority that regulates the banks and insurers. The FCA (who are directly accountable to HM Treasury and Parliament) aim to secure an appropriate degree of protection for consumers, protect and enhance the integrity of the UK Financial System and promote effective competition. In 2013, the FCA announced that it planned to regulate the previously unregulated crowdfunding sector, including both the equity and debt-based sides of the market. 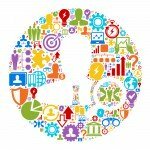 Rebuildingsociety.com, having operated since late 2012, fell under the new regulation and authority of the FCA. As rebuildingsociety.com was already trading under the supervision of the OFT, it was granted Interim Permission and invited to apply for full permissions in October 2014. So, how does the FCA go about ensuring that the firms under its supervision protect consumers (you)? All firms under the authority of the FCA must meet the minimum applicable standards as set out in their Regulatory Handbook. The Regulatory Handbook is driven directly from legislation, primarily the Financial Services and Markets Act 2000 (FSMA). The handbook acts somewhat like a Bible for regulated firms, setting out how it should handle client money, how it must manage its promotional activity and communicate to their clients, to name but a few of the rules set out in the extensive Handbook. Some of the most prevalent rules that go towards protecting consumers are the rules on Treating Customers Fairly (TCF) and Financial Promotions. These rules, if not followed, can result in firms facing penalties and restrictions and as such are taken seriously by regulated firms. TCF rules aim to raise the standards by which firms carry out their business. The TCF rules are driven by 6 outcomes that firms should measure their performance against. These principles aim to help you fully understand the features, benefits, risks and costs of the financial products you buy and minimise the sale of unsuitable products by encouraging best practice before, during and after a sale. What are the 6 Outcomes? Whilst this outcome may seem obvious at first, it is central to the FCA’s core mission to protect consumers. The FCA insist that firms make fair treatment of consumers core to their corporate culture and not merely a box ticking exercise to satisfy the regulator. Firms are expected to ensure that all staff act honestly and with integrity and deliver a high standard of service to clients. 2.Products and services marketed and sold in the retail market are designed to meet the needs of identified consumer groups and are targeted accordingly. This means that firms must not sell financial products to customers who do not need them, nor sell products that are not suitable to their specific needs. This puts the responsibility on firms to ensure that they know their customers and their needs, so that they are not burdened with products or services that they do not actually need. For an obvious example, a firm should not sell a Pay Day Loan to a customer who does not have a job. If you think back to PPI, or to the mis-selling of mortgages and the effect of the collapse of this market, you can see the importance of this principle clearly illustrated by the consequences of previous failures. 3.Consumers are provided with clear information and are kept appropriately informed before, during and after the point of sale. You may have heard of the Latin Phrase, ‘Caveat Emptor’ roughly translated to ‘Buyer beware’. This is exactly the type of behavior that the FCA is trying to remove from the financial services sector. They want to ensure that firms do not hide important details in the small print. Customers should be made aware of all costs, penalties and terms before entering into an agreement to ensure that they are fully aware of what they are committing to or should expect throughout the term of the product or service. Entering into a contract for a financial service or product is one of the most important contracts that many of us enter into. Think Mortgage, Life Insurance or Pension. As such, it goes without saying that when doing so you expect to be given advice that is suitable and tailored to your needs so that you are able to make an informed decision. Firms that fail on this principle are subject to exceptional penalties. When you buy a financial product or service you should expect to get what you expected when you bought it. So if you open a savings account that you are told will yield a certain amount of interest each year, your savings account should deliver as expected. 6.Consumers do not face unreasonable post-sale barriers imposed by firms to change product, switch provider, submit a claim or make a complaint. Firms must make it easy for customers to change providers, make a claim or submit a complaint. Matters concerning financial products and services are often time sensitive and as such firms should react in a reasonable manner so as not to cause major inconvenience for their customers. At rebuildingsociety.com, TCF is in our DNA. We’re always striving to improve your experience of the site and the service you receive from us. If you don’t think that we are meeting your expectations we’d like to hear from you so that we can put it right. You can contact us either by phone or email, all details are available on our Contact Us Page.